“We live in a society where many of us throw away things quickly when they are out of fashion or seem just a tiny bit worn. The contemporary design world is about material and its use. Designers seek both high and low tech ways to rediscover the materials and elements they work with and apply innovative ways to create a product. Materials are recycled and upcycled to give new life to texture, form and colour. Design a special product or material application in which the theme ‘Reinventing Textiles’ adds value to the design. Consider which (textile) objects you tend to throw away and how to give it a second life as an interior product, toy or item of clothing with a high design value. For example, a curtain shaded by the sun, worn clothes, a carpet that’s been walked on over and over again etc. 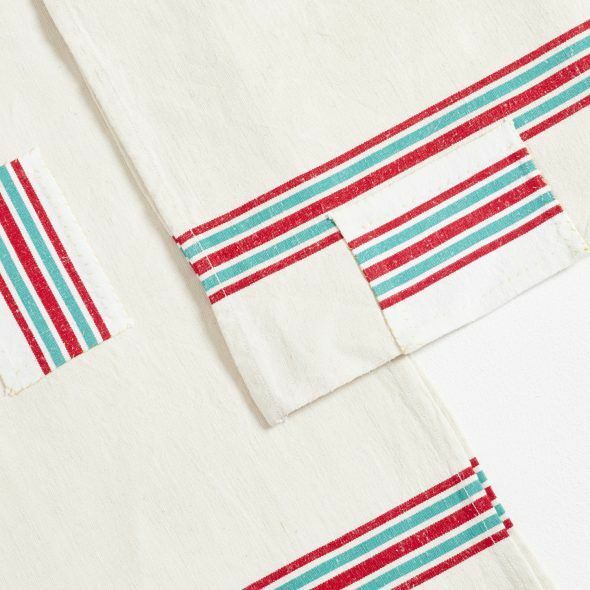 Think about ways to repair, decorate, embroider, unravel, trim, smear, refurbish or customize textiles or apply textile techniques to non-textile materials. 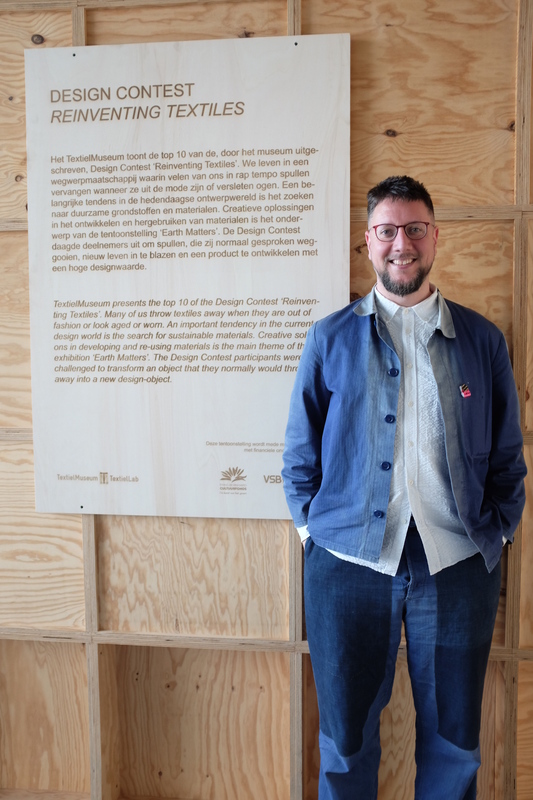 A quick note: all pictures in this blog post were taken by Saskia de Feijter, proprietor of Rotterdam’s hippest yarn shop, Ja, Wol! I work mostly with wool, and enjoy creating and repairing knitted objects. I like to do things that take forever, as it allows me to gain a deep understanding of material qualities and the traditional techniques I use for making and mending contemporary objects. By exploring the motivations I favour not the new and perfect but the old and imperfect, as that allows me to highlight the relationship between garment and wearer. My interest in using traditional techniques for creating and repairing (woollen) textiles means that creating and mending textiles are in constant conversation with each other. The Textielmuseum is located in Tilburg, a city in an area of The Netherland which has a rich textile history. The museum is housed in a former textiles factory, once one the largest employers of the area. 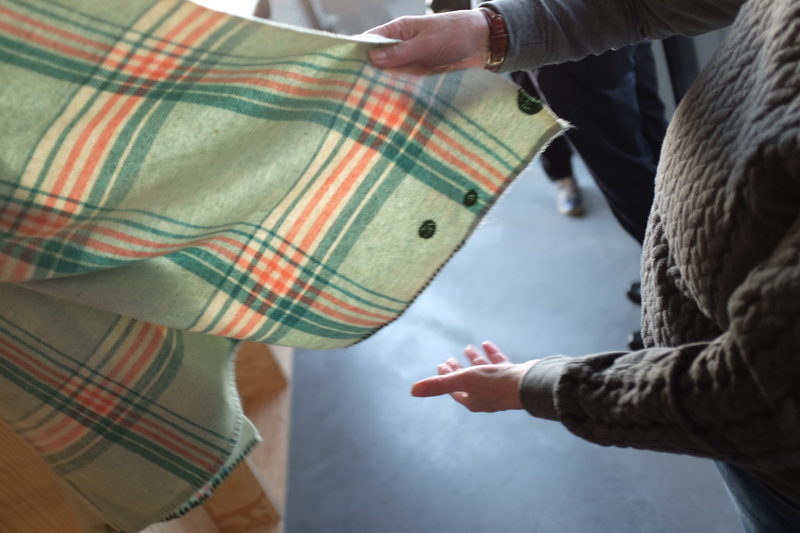 One of the permanent exhibits is about woollen blanket manufacturing, showing all the different stages of making a blanket, from spinning wool to weaving to finishing. Also on the premises is the TextielLab, a unique knowledge centre, combining a specialised workshop for the manufacture of unique fabrics and an open studio where innovation is central. National and international designers, architects, artists and promising students are guided by product developers and technical experts, and so discover the endless possibilities of yarn, computer-controlled techniques and craftsmanship. 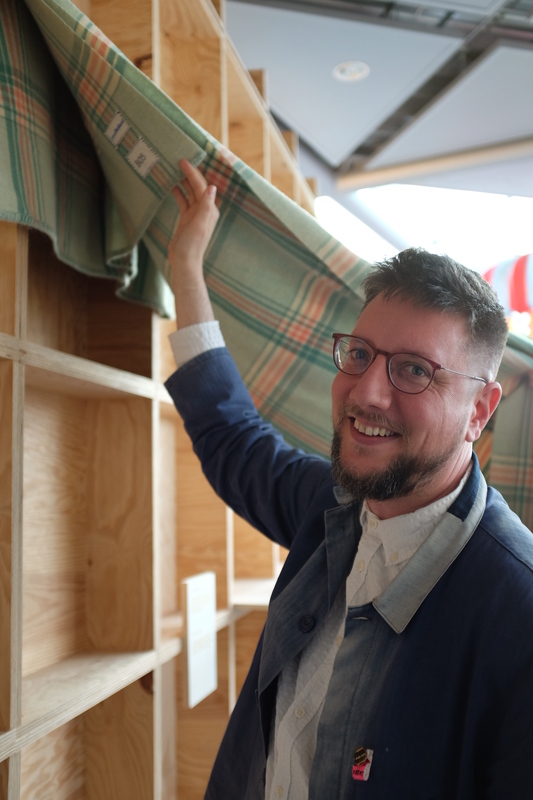 I love the outward looking approach of the Textielmuseum and TextielLab, showing great respect for traditional techniques, yet at the same time exploring new directions in textiles, and it’s a great honour to have be part of the top ten in the Reinventing Textiles contest. The entries of the contest top ten and winners is on display at the Textielmuseum until 10 December. With thanks to Sas for letting me use her pictures.